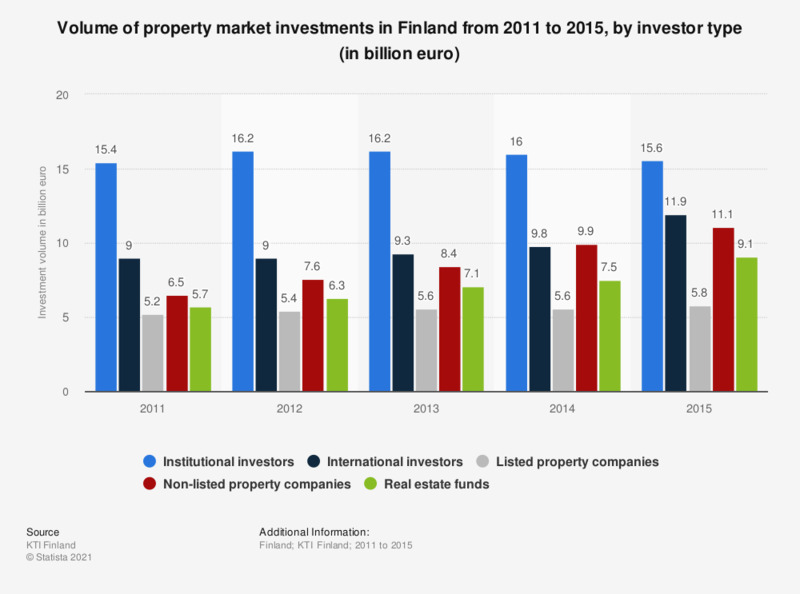 This statistic shows the volume of property market investments in Finland from 2011 to 2015, broken down by investor type. In 2015, the investment volume of international investors was nearly 12 billion euros. Statistics on "Office real estate in London (UK)"